2337 Reyer Road Auburn, NY. 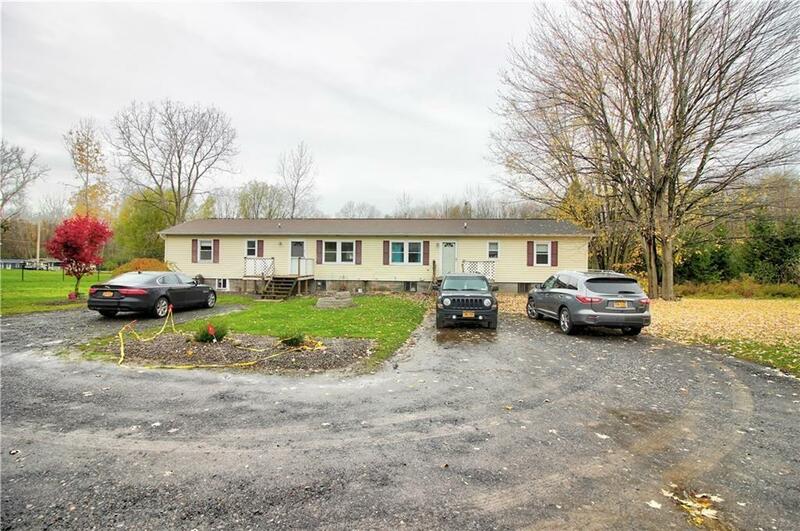 | MLS# R1159720 | Coldwell Banker Finger Lakes | 315-789-6768 | Geneva NY Homes for Sale, FINGER LAKES PROPERTIES, Seneca Lake, Cayuga Lake, All of the Finger Lakes. Stick built home in great country setting, perfect owner occupied or in-law apartment. The apartments have separate electric, unit 1 pays for the furnace, A/C, Well pump, and water softener, unit 2 pays their own electric. Directions To Property: Turn Left Onto Potter Road. Turn Left Onto Reyer Road. Home Is On The Right.